Rumors have being indicating for a few weeks now that Khloe Kardashian is set to become a mom. The rumors have claimed that the famous Keeping Up with The Kardashians star is expecting her first child with boyfriend Tristan Thompson. The two have been dating for a year now, and Khloe has previously revealed her intentions to become a mom. The pregnancy rumors have not been officially confirmed by Khloe, but this does not mean that the rumors have stopped. In fact, a source recently claimed that Khloe is very happy with the baby news. A source told US magazine that Khloe is ready to become a mom. Allegedly, the star is well-known to be very fit and in great physical shape, and actually she needed to make no changes to her lifestyle because of the pregnancy. So, the source claimed that Khloe hasn’t changed her eating habits because she is a “really clean eater and she doesn’t really need to adjust her lifestyle totally yet.” And she surely seems very happy and at peace. Khloe actually shared a message on Instagram to thank God for everything good in her life. “Lord, Thank You for giving me the health and strength I need to overcome every stronghold in my life and for loving me unconditionally in the times that I may fail you,” her post said. 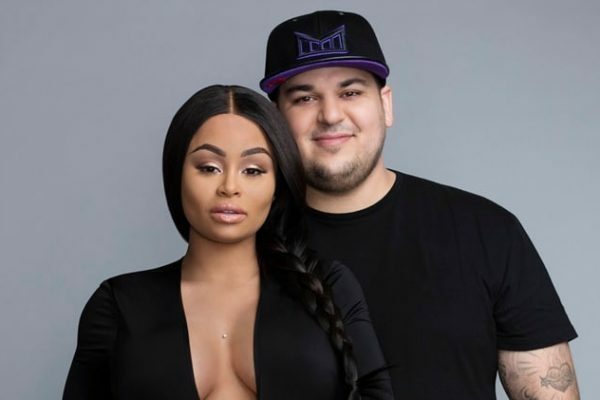 Well, according to the rumors that are on about the famous family, Khloe is not the only one who is set to welcome a child. We can say the same thing about her sisters Kim and Kylie. Kim confirmed that she is going to have a third child with husband Kanye West via surrogate. However, when it comes to Kylie, we have only rumors. 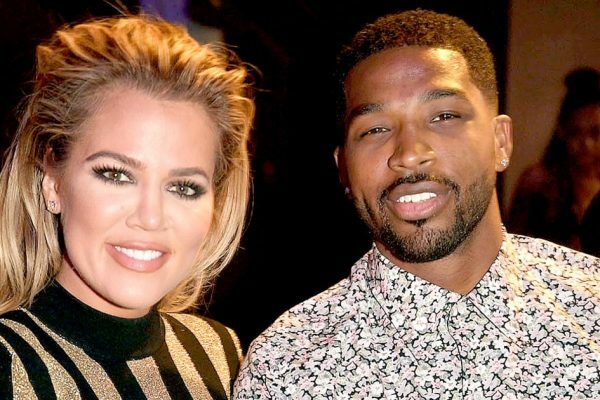 There is no doubt in the fact that things are working perfectly well between Khloe Kardashian and Tristan Thompson. And it seems that everything is working so well between the two that Khloe has practically moved in with her boyfriend. The revelation was made during the first episode of the newest season of Keeping Up with the Kardashians. Khloe revealed that constantly traveling between Cleveland, where Tristan lives, and Los Angeles, where she works, has not been simple, but it seems that the famous star is ready to make this sacrifice and is very happy with her life with Tristan. “For the past eight months, I have been basically bicoastal,” Khloe told her sisters, Kim and Kourtney, who have been visiting Cleveland to see where Khloe has been spending most of her time. “It is grueling. But I like being in Cleveland — it’s a much simpler life, and I actually love it and crave it. I go to a lot of basketball games. It’s very [much] like my old life,” Khloe said. While visiting Cleveland, Kim and Kourtney also discovered that Khloe had practically moved there with Tristan. “Khloé lives in Cleveland practically, and she’s not rushing to come home anytime soon,” Kim said. The star added that she misses her sister and it is not simple to realize that she is actually living in Cleveland now. “I’m definitely sad that Khloé is gone, but she and Tristan are really cute together. She’s got a good crew over there. She’s got a good support system,” Kim also said. Khloe has been last week linked to pregnancy rumors, as several sources claimed that the star was expecting her first child with Tristan. Khloe did not confirm this when being asked about a baby. 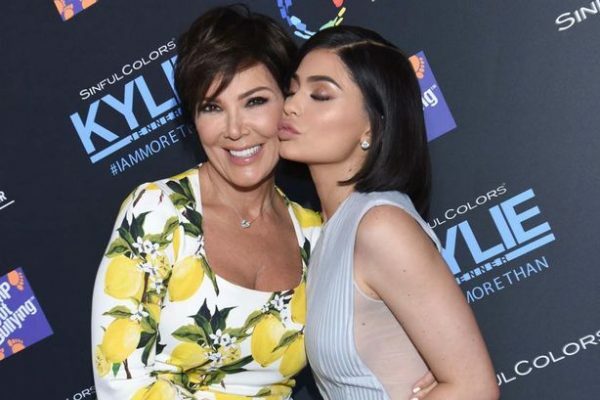 She said that she just wants to be with Tristan because “when you make plans, God laughs.” Well, if Khloe does not talk about babies, Kourtney claimed that she is not against the idea of having another child with her former boyfriend, Scott Disick. “I feel like I would [have another baby with him] if the situation was right,” Kourtney explained. “But that doesn’t mean, like, tomorrow, guys. So don’t get any ideas,” she concluded. It has been reported that the note was written in April 2013. It was only discovered now on her iPad by the lawyers working on the case and representing Cathriona’s former husband, Mark Burton, and her mother, Brigid Sweetman. The two filed a wrongful death lawsuit against Jim Carrey, saying that the famous actor was responsible for Cathriona’s death. This is the first time when the note has been revealed. The note was reportedly obtained by The Daily Mail. “This is what I want, you gave me hsv and hpv, I want you to apologize for it because you care enough to,” the note said. “I met you, you introduced me to cocaine, prostitutes, mental abuse and disease,” it add. 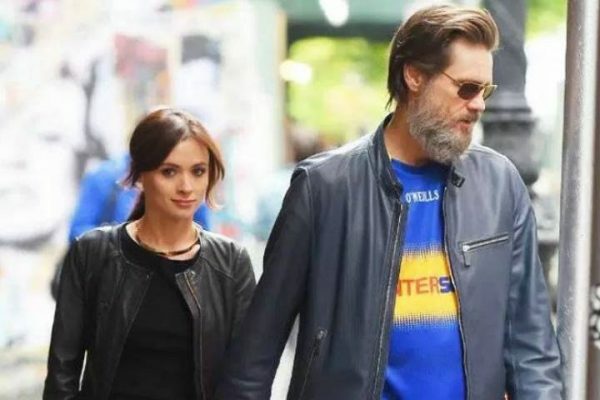 Jim Carrey denied all the allegations made by Mark Burton and Brigid Sweetman. And a lawyer for the famous actor also said that the note only proves that Cathriona and her family were just trying to extort money from the famous actor. Cathriona passed away back in 2015, committing suicide with the use of some powerful painkillers. Carrey was accused of providing her the drugs under a false name. Carrey was sued by Burton and Sweetman in 2016. The actor subsequently filed a cross-complaint against the two plaintiffs. The case remains ongoing. Kim Kardashian is the happy mom of two beautiful children, daughter North and son Saint. 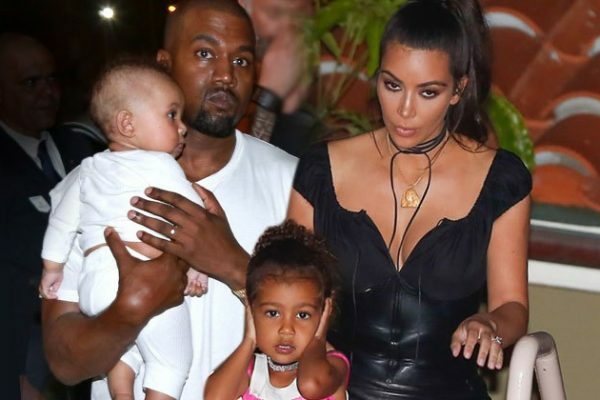 The famous reality show star and her musician husband, Kanye West, previously revealed their interest in becoming parents once again, but Kim also shared that because of her health issues, she is unable to carry another child. This is how rumors of a potential third baby via surrogate emerged. Well, now, Kim decided to reveal that during her first pregnancy with daughter North she suffered from a lot of pain. In fact, at one point during the pregnancy, the pain was so great that Kim thought that she had suffered a miscarriage. Kim made this revelation during a Keeping Up with the Kardashians special with Ryan Seacrest. “I was so scared, I was having so much pain. I mean, at one point I thought I had a miscarriage — I was pretty certain about it. I didn’t know what was going on. I flew all the way home on Thanksgiving and the doctor told me, ‘There’s no heartbeat, you had a miscarriage. Let’s get through it, come in after Thanksgiving dinner,’” Kim said. “Then I went in that morning and he was like, ‘There’s a heartbeat, you didn’t have a miscarriage!’ and I was like, ‘Oh my God, this is a sign.’ It was such an emotional Thanksgiving, and Kourtney was the only one that knew about it. Her and Kanye, because we were in Miami living together,” she revealed. Kim also talked about her husband Kanye during the interview and revealed that she liked him even before she married Kris Humphries. Kim said that she first met her husband in 2002 or 2003. “He was recording a song with Brandy, and I was her friend. I vividly remember hanging out with him and then they did a video together, so I’d see him a few times. He was asking his friends: ‘Who is this Kim Kardajan?’ He didn’t know what my name was,” Kim revealed. The star went on to add that she started talking to Kanye before her wedding to Kris, but she just chose to go on a different direction. “After my breakup, I was feeling really low and down and he said, ‘Just come to Paris and see my fashion show.’ He jokes that he put on this whole fashion show just to get a date with me,” Kim said. The star went on to explain that she went to attend the fashion show and this is how everything started. And Kim claimed that she fell in love with Kanye immediately. In a rare occasion, Kourtney Kardashian and Scott Disick have stayed together during an interview with Ryan Seacrest. 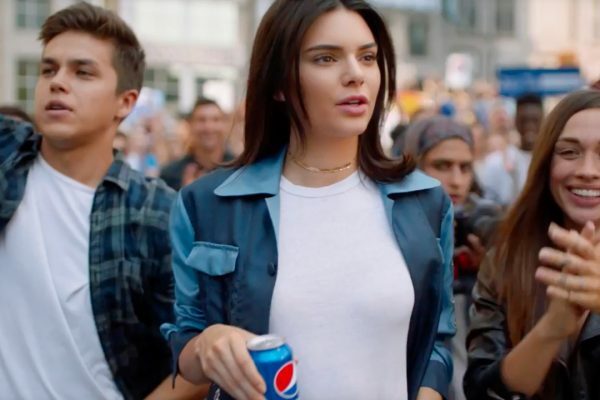 And it seems that the relationship between the two remained pretty much the same as what fans could see in the last episodes of the previous season of Keeping Up with the Kardashians. 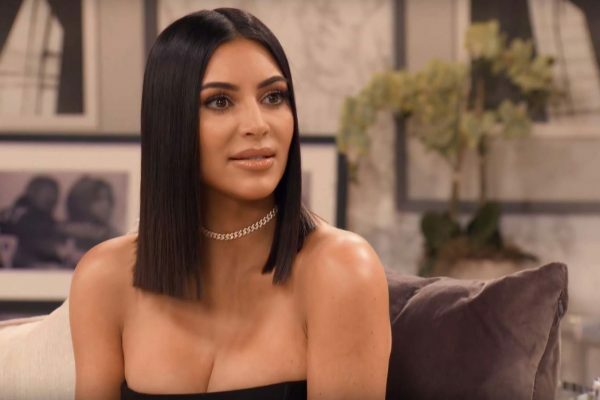 So, during the interview it seemed that Scott is still not over Kourtney, while Kourtney does not seem that sure that there is no room for reconciliation between her and the father of her three children. The interview is part of the Keeping Up with the Kardashians anniversary special. “So when you see them together there’s a connection there,” the host said about the former couple. “There is no connection, she made that very clear just now,” Scott immediately explained. “I just want everyone to know, we are just co-parenting,” he added. However, Scott also made it clear that he is not over the Keeping Up with the Kardashians star. “She’s like the only person I’ve ever loved in my life. I think she’s cute and stuff,” he said. Then, Scott made a joke when being asked if he still hits on his former girlfriend. “Yeah, I try to f**k her like once a week,” he said. Kourtney did not give a very strong answer when being asked if she and Scott can reconcile. “I mean… I don’t know… The debauchery that’s gone on has definitely closed the doors several, you know, billion times,” she said. She also said that Scott cannot be consistent when it comes to maintaining a conduct that would make her want to work things out. “Here’s the thing, every time I become too good of a person, she stops loving me because she fell in love with a guy who was a little bit f**ked up,” Scott explained. “100 percent! I treat you like royalty, you don’t say hello to me. I spit in your face, you’re like, ‘Hey, babe! '” he also said, despite the fact that Kourtney denied that. Without a doubt, all the fans of this famous family will be very interested in finding out what will happen next in the relationship of Kourtney and Scott. Kourtney seemed to have moved on this summer with another man, while Scott seemed to be back to his wild partying days, also being seen with numerous women.